Dianabol is the brand and trade name for the anabolic steroid Methandrostenolone. Methandrostenolone was developed by Ciba pharmaceuticals, which also originally marketed the drug as well. Dianabol is the number one most popular anabolic steroid in the world ever used, and all throughout history. Nandrolone (Deca Durabolin) is second to Dianabol, and the third most popular anabolic steroid is Winstrol (Stanozolol). Dianabol was essentially the second synthetic analogue of Testosterone to ever be developed, and is the very first oral Testosterone analogue to be created as well. Dianabol was developed in the mid-1950s after Dr. John Ziegler was tasked with the job of investigating the dramatic performance increases of the Soviet Olympic athletes who were dominating all of the Olympic Games at the time. It was discovered that the Soviet athletes were administered Testosterone injections, and so Dr. John Ziegler and his medical team put their minds to developing an anabolic steroid analogue of Testosterone that would be modified so as to increase its anabolic strength while decreasing any other potential negative side effects. The goal was also to develop a Testosterone analogue that could be administered orally for convenience purposes. The result, of course, was Dianabol. What resulted in Dianabol was an anabolic steroid that produced a greater amount of androgenic strength than its parent hormone Testosterone, while simultaneously exhibiting even lower androgenic strength. Although it was not perfect, it was the exact response to the Soviets that the American Olympic athletes required. Ever since that moment onwards, the use of Dianabol caught on with almost every type of athlete that engaged in strength-based athletics, and especially bodybuilders of the time period. Following the late 1950s and 1960s, Dianabol became the quintessential anabolic steroid of strength athletes and bodybuilders, and became a staple in every anabolic steroid cycle stack. Because Dianabol is such a popular anabolic steroid, it is very easily obtainable and very common to cross paths with. 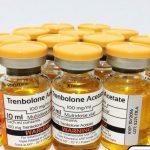 It is often even the very first anabolic steroid that individuals hear about by word of mouth, and is the very first anabolic steroid that individuals frequently read about when engaging in the research of anabolic steroids and their uses. Dianabol is an oral anabolic steroid, and successfully bypasses liver metabolism by a great deal so that a high percentage of it may enter the bloodstream to do its job inside the body. What allows this is Dianabol’s chemical modification at its 17th carbon, known as C17-alpha alkylation. Although this modification allows high oral bioavailability of the hormone, it does present varying degrees of hepatotoxicity, under which Dianabol’s dose as well as duration of use should be limited to a 6 – 8 week period. Dianabol also contains a double bond between carbons number 1 and 2 on its structure, and this is what is responsible for its lowered androgenic strength rating in comparison to Testosterone. Dianabol itself is a very strong anabolic steroid, approximately slightly over two times the strength of Testosterone itself. Dianabol holds an anabolic strength rating of 210 along with an androgenic strength rating of approximately 40 – 60. Any individual can see here how Dianabol holds an increased strength and a much lower androgenic strength than Testosterone does, hence why it is a favorable supplementary anabolic compound to be added into any bulking cycle. Unfortunately, aside from its detrimental effects on the liver due to the C17-alpha alkylation, Dianabol also possesses some other negative aspects as well. The next undesirable property being that Dianabol is moderately Estrogenic in that it holds moderate affinity for the aromatase enzyme, which is the enzyme responsible for the conversion of androgens into Estrogen. Bloating and gynecomastia are a common problem with Dianabol as a result. Although Dianabol possesses a lower androgenic strength rating that its progenitor hormone Testosterone, it still does exhibit androgenic effects that must be observed carefully. Dianabol is quite limited in its use and Dianabol doses, and its limitations place it into the category of an anabolic steroid that applies almost exclusively to bulking and strength gaining cycles. This is primarily determined by its moderate Estrogenic activity, which produces bloating and water retention, resulting in that soft puffy look to the physique that is undesirable to individuals looking to lean out or purely gain lean mass without additional water or fat retention. Its liver toxicity also further limits its use to that of short periods (6 – 8 weeks). In such a case, Dianabol is primarily utilized as what is known as a kickstarting compound. A kickstarting compound, which is most usually an oral anabolic steroid, refers to a compound that is utilized in the first few weeks of a cycle in order to provide the user with some preliminary size and strength gains while the primary injectable compounds (usually long estered compounds) take their time to reach optimal peak blood plasma levels before they kick in. 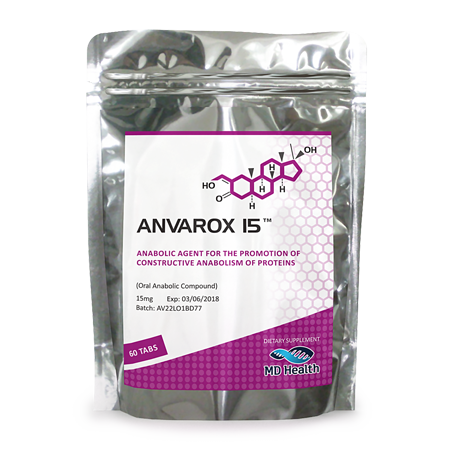 Kickstarting compounds, like Dianabol, are most usually compounds that possess a strong anabolic effect, hence why Dianabol is used as one, and Anadrol is another such example. This is what makes the clear point that oral anabolic steroids are not meant to be run solitarily (on their own), and instead serve to act as supplementary compounds to a solid base cycle that should always include injectable compounds, one essentially required one of which is Testosterone. 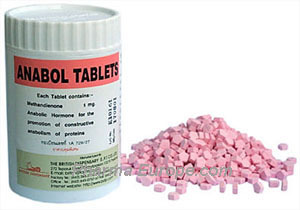 Dianabol doses do not usually change much, due in large part to its strong anabolic effects. Whether the compound is utilized for an all-out bulking and mass gaining cycle or if it is used for a lean mass cycle, Dianabol doses rarely change. Even among the three tiers of users (beginner, intermediate, and advanced), these doses more or less remain within the same range. A compound that is fairly strong like Dianabol rarely requires subsequent increases of Dianabol doses. High doses are usually not necessary in light of its strength, and this is also the reason as to why many individuals claim that Dianabol is the anabolic steroid that is worth the most in terms of the strength and potency it provides for the cost. One must also remember that increased Dianabol doses will also correlate with an increase in liver strain and toxicity. This must always be remembered when any individual considers increases to Dianabol doses. Beginner Dianabol doses are normally in the 15 – 30mg per day range, which is usually and should at all times be utilized with Testosterone. For a beginner, this dose range should provide significant mass gains, and should be used in a kickstarting manner so as to experience strength and size gains during the first few weeks of the cycle before peak optimal blood plasma levels of the Testosterone is reached, and kicks in. Intermediate Dianabol doses are ranged at 30 – 50mg daily, and Dianabol doses venturing higher than this is usually unnecessary considering the strength of the compound. Some individuals do rise higher, often landing their Dianabol doses in the range of 80 – 100mg daily. This higher range is for the most part not necessary, and does increase the risk and likelihood of liver toxicity issues. Advanced users are not advanced users because they utilize excessive or very high doses of any compound, including Dianabol. This must be remembered at all times. 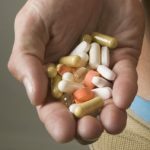 Unfortunately, the general notion here is that the flexibility in Dianabol doses is very limited due to its potential for increasing hepatotoxicity, and its potency and strength as well. This is a trend of Dbol that will commonly be repeated and seen in many of its aspects. Dianabol holds a very short half-life compared to the majority of anabolic steroids and even other oral compounds. 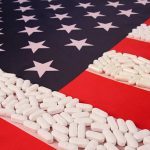 Its half-life is approximately 4.5 – 6 hours, and so it is recommended at least for the majority of the time to separate and split Dianabol doses up evenly throughout the days. This should ensure more stable and steady blood plasma levels of the compound in the bloodstream, and therefore exhibit less pronounced side effects as well. A 4 – 6 hour gap in between Dianabol doses should provide steady and stable enough blood levels without wild peaks and valleys. Many users will commonly consume either their full or partial Dianabol doses immediately following a workout, as the fast spike in blood plasma levels of the compound tend to be beneficial for the post-workout nutritional aspect, where the hormone should assist in greater nutrient partitioning effects in the hours following training. Just as with dosing, Dianabol cycles are limited as well in flexibility and the different manners in which Dianabol can and cannot be cycled. As previously outlined, it is most useful as a kickstarting compound, and rightly so. Issues that Dianabol present that pertain specifically to Dianabol cycles are its limitations in length of use due to its liver toxicity issues. As a result, Dianabol cycles should always be limited to a 6 – 8 week period. The problem of moderate Estrogenic activity also peg Dianabol into more of a bulking and mass gaining category when it comes to what types of Dianabol cycles can be run. The truth is that any individual can cut and lean out with any anabolic steroid, including Dianabol. But the nature of Dianabol’s Estrogenic activity and its associated water retention, bloating, and possible fat retention/gain leave this compound as undesirable for fat loss cycles, and to a lesser degree, lean mass. Dianabol, however, is one anabolic steroid that tends to combine very well (almost flawlessly) with other anabolic steroids that cater to the same goals. 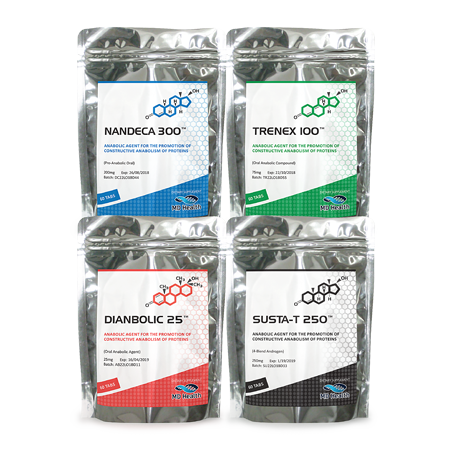 The most popular stack ever conceived in all history is the Testosterone/Dianabol/Deca-Durabolin stack, where all three anabolic steroids in that Dianabol cycle cater very well to bulking and strength gaining. Of course, the purpose of Dianabol in such a stack is to act as a kickstarting compound during the first few weeks until the primary injectable compounds (Testosterone and Nandrolone) kick in. Most usually, the ‘kick in’ period for such compounds (especially long estered anabolic steroids like the two mentioned here) occur just as Dianabol is discontinued. 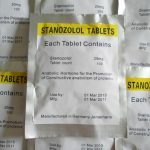 Although Dianabol was created with the idea in mind that it should present the best possible anabolic strength while simultaneously presenting the minimal amount of side effects associated with it, it still presents various side effects (both androgenic as well as Estrogenic and otherwise). Estrogenic side effects: This is perhaps one of the more prominent Dianabol side effects. It has been touched upon previously that Dianabol possesses moderate activity with the aromatase enzyme, which results in considerable amounts of Dianabol conversion into Estrogen. This is where many individuals will experience the bloat and water retention associated with it, as well as gynecomastia. It is advised to run an aromatase inhibitor with Dianabol so as to prevent the incidence of Estrogenic side effects. SERMs such as Nolvadex can also effectively block Estrogen’s activity at breast tissue, but it is only useful for the side effect of gynecomastia. Androgenic side effects: Dianabol was developed with the intention of reducing its androgenic strength. Chemists were successful for the most part with this endeavor, but Dianabol still possesses a measure of androgenic strength. Although not as strong or as pronounced as Testosterone, Dianabol’s androgenic side effects can still present itself, especially in individuals sensitive to various androgenic side effects. Androgenic side effects can include: increased sebum secretion (oily skin), acne (in relation to the increased sebum production), the possibility of triggering male pattern baldness if the user possesses the gene responsible for it, as well as hair growth. Hepatotoxicity: This is one of the more prominent Dianabol side effects, as it is a C17-alpha alkylated anabolic steroid, thus allowing it a large degree of bioavailability. The downside to such a modification is that of increased liver toxicity, as the C17-alpha alkylation allows Dianabol to present greater resistance to metabolism in the liver. It is advised that users engage in diligent use of Dianabol both in terms of doses as well as the length of time the compound is run. It is recommended to run Dianabol at performance enhancing doses for periods no longer than 6 – 8 weeks. HPTA: All anabolic steroids suppress and/or shut down the body’s natural endogenous Testosterone production, also referred to as the Hypothalamic Pituitary Testicular Axis (HPTA). 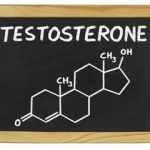 Dianabol side effects certainly do include this side effect as well, where studies have demonstrated that even at minimal doses (15mg daily), Dianabol had exhibited suppression of endogenous Testosterone production of 69%. It is advised that any individual engage in a proper Post Cycle Therapy (PCT) program following the cessation of any anabolic steroid cycle so as to ensure proper hormone function afterwards.